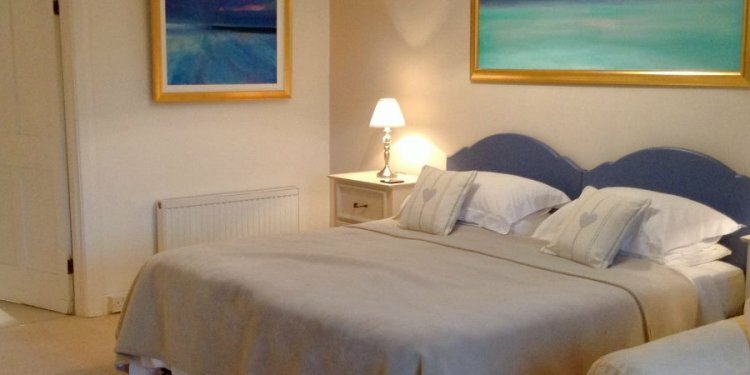 The Sherborne Lodge Hotel combines comfortable bed and breakfast accommodation with a wonderful seaside location in the beautiful North Devon coastal town of Ilfracombe. Boasting well appointed rooms and all the trappings of a true home from home, our hotel is a wonderful choice for anyone visiting this stunning part of the world. We have 10 rooms/suites, all of which have en suite facilities with either a shower over a bath or a separate shower (except room 5 which has a private bathroom with shower over). The 3 suites have a double bedroom with an integral single or twin room which is very suitable for families. Also there is a family room with a double bed and a single bed for those who want to have a child sleeping in the same room. Room facilities include: Remote control digital TV. Tea/coffee making facilities. Alarm clock radio. Hair dryer. Ironing facilities and continental adapters. We have a large family bar with a good selection of beers, wines and spirits. For the more active we have a pool table, dart board and piano. The bar looks out on to the patio area which has a covered area for smokers, as the establishment keeps the regulatory no smoking policy throughout the building. Beyond the patio area there is ample parking in our own car park, sufficient for every room. Next to the bar is our breakfast room which is bright and airy and we hope you will enjoy our freshly cooked to order breakfasts. Choose either the hearty full English breakfast with special Olde English Pork sausages and thick cut bacon, or perhaps some fish: haddock served with a poached egg or kippers, or one of our vegetarian options. We also have a Home from Home Lounge and Kitchenette. Here you will find comfortable seating with a TV, a computer, fridge, microwave and tea and coffee making facilities. So if you wish to warm up your babys bottle, keep milk cold or have somewhere to eat a takeaway, or just relax with your family, this is the room for you. We also offer Free Wi-Fi Internet access via your laptop computer throughout the building. We are quietly located at the start of Torrs Park, one of the best areas of Ilfracombe, centrally placed for a 5-10 minutes walk to all the local facilities. These include the town centre with plenty of shops, restaurants and pubs and the harbour. The restaurants are many and of a very high standard. Ilfracombe is ideally situated for business, leisure and sporting pursuits being within easy reach of Barnstaple by car or bus, several beautiful surfing beaches and wild and stunning Exmoor countryside, shooting grounds, championship golf courses and plenty of other sporting activities. For clay pigeon shooters we have two gun safes available. There is also a secure chalet outside which can be used for storing bicycles, surf boards, golf clubs etc. and gun cleaning facilities, a freezer for bait and catch and a tumble dryer in case you get caught in a shower. There is full central heating throughout so dont be worried about coming down here in the colder times. For more information please visit our website. Rates: From 35 - 42 per room per night based on single occupancy. From 53 - 68 per room per night based on 2 people sharing. From 70 95 per family room per night. Children are welcome. Pets are welcome. Off street parking. Wi-Fi/internet access. Dinner available on request please enquire at the time of booking.